There are currently 2 locations for Benkei Ramen, one on Robson, and the other on Thurlow, but soon 2 more will join the scene. The one that will open tomorrow (Apr. 15) with be on 5th avenue by Main street. Shortly after, another one will open on West Broadway. Over the past weekend, Minako (service manager) of Benkei contacted me, and asked if I would like to come to a pre-opening event. Since I enjoyed the food at Benkei on Thurlow (see post here), so I thought why not. Due to some unforeseen traffic, we arrived 15 minutes late. We were greeted and then ushered into the back kitchen to join others for a tour of the place. 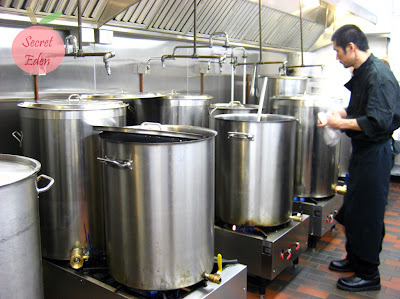 Here is what we came face to face with: simmering soups in huge stainless steel pots. We learned that ever since beginning of March, Benkei has been using this location as the central kitchen that create the soup base, and distributed to the different locations. By doing this, they ensure that the quality remain consistent. 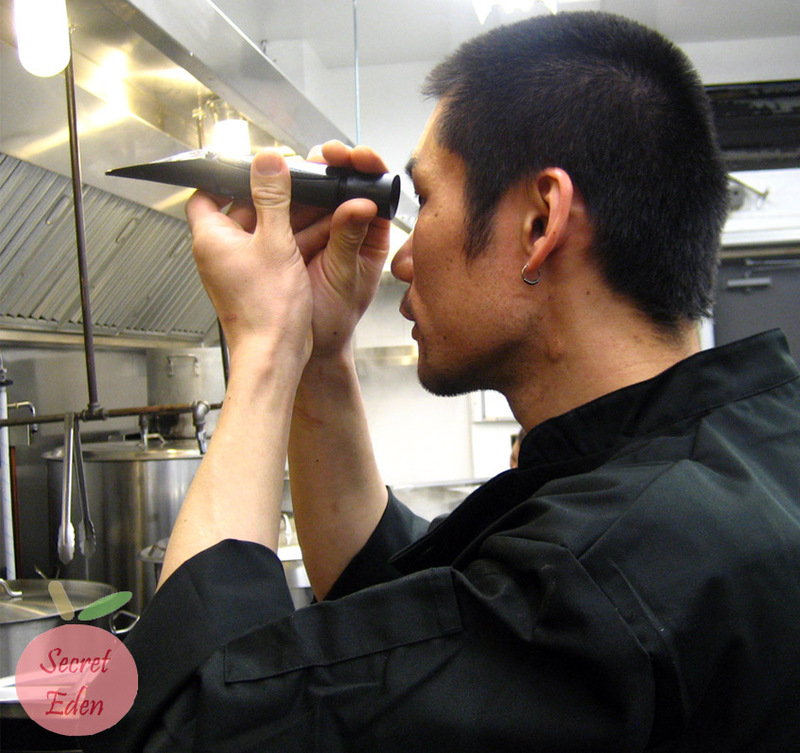 Although Benkei has several locations, they are currently all corporate controlled, because of this, they want the taste to remain the same at each restaurant. While we were standing there taking it all in, the head chef (one of 2) took out a slick gadget that looked like a kaleidoscope, but in fact it's called a refractometer. This is where R was impressed, because this little gadget measures the solubility of the soup, meaning the 'thickness' of the soup. By measuring their soup, they can keep the 'richness' and 'thickness' relatively constant. We were told that we can order anything on the menu, and they even encouraged us to order all of it. Because they wanted us to try many different types, thus all the pictures you see here shows only half portions. The two soup base R ordered are Shoyu and Miso. I almost never order shoyu soup, because I think it mostly tastes like water + soy sauce. Boy was I wrong, their shoyu soup is a combination of chicken-pork soup combined with their special soy sauce. I have to say, it was one delicious soup, there was the meatiness from the pork, and the sweet flavor from the chicken. There is no doubt in my mind, this will be a favorite for the summer season, as it is light and delicious. The miso soup was equally good, because it's essentially the Akaoni (my favorite) without the spicy element. This soup is very rich and flavorful. Since I already know I love their Akaoni soup base, I thought I try two different ones. The first one I chose was the Shio soup, which is a pork bone broth (hence the whitish appearance). Although it looked very rich, but in fact it was rather light compare to R's miso base. This is a simple broth with just sea salt. Personally, if I wanted rich soup, I would go for the miso over this one. R had the Shiro when we went to Benkei on previous visit, but I didn't. The Shiro soup base smells like creamy garlic pasta sauce, it's a heavenly smell, but it does not fully translate into the soup. I mean it's rich and buttery, but the garlic flavor is lacking despite the strong smell. When we were touring the kitchen, the head chef also demonstrated his gyoza making skills. We were told that their stuffing is unique and created by the owner himself. We were also given gyoza (pork and pork with shrimp) to try while we were eating. 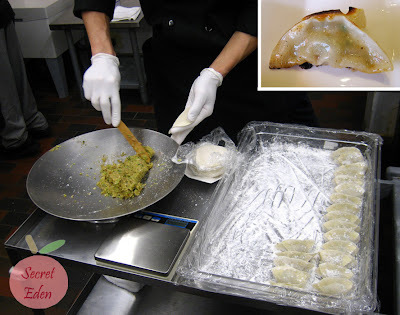 Sadly, I did not like their gyoza, because it had a really strong garlic taste. That being said, if you like garlic, you will love these. 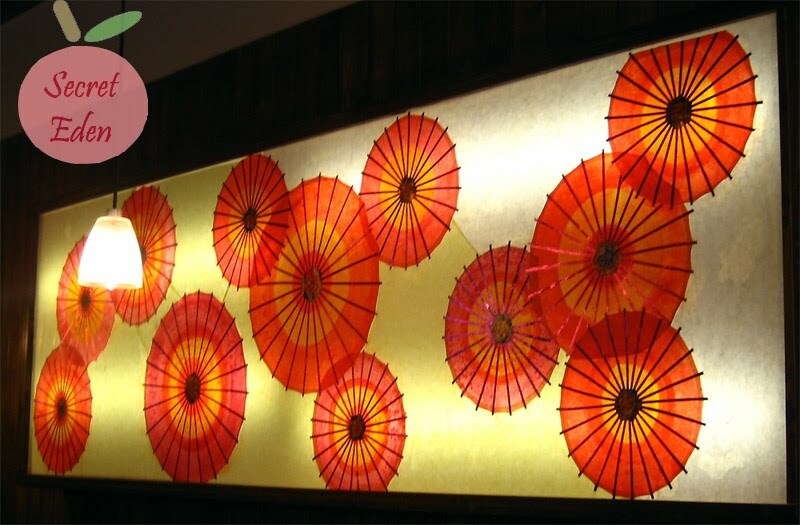 At each Benkei location, there is a paper art wall lamp. Each one is different and unique, because they are all hand made by the owner. I never really paid any attention to any of them, but now that I know each one is hand made, I think I will take a closer look the next time I am at one of their locations. This location have something none of the other one have, it's pretty obvious by this picture. 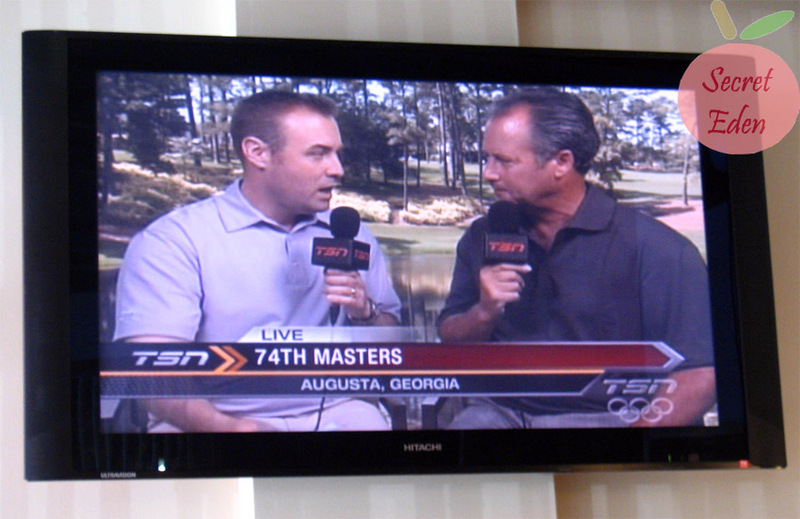 They have a nice big flat screen hanging on the wall, which would be a good thing for any sports lover, because it was on TSN the whole time we were there. We also had the privilege to meet the man behind the restaurant. He was very nice and very ambitious, because his plan is to expand Benkei all across Canada first, and then branch out to the US. By doing so, he will establish Benkei as a Canadian Brand. We took a picture with him, maybe I will share that in my facebook page, so you can see the man behind this successful chain. 3. The winner for the 2nd certificate will be picked from comments left on the "Giveaway" feed on My Secret Eden Facebook page. and WOW i am seriously impressed with the refractometer! I use that for MY medical stuffs!! Good write-up, Jenny. It is amazing to see the big pots and knowing how they make the ramen. What about the noodles? 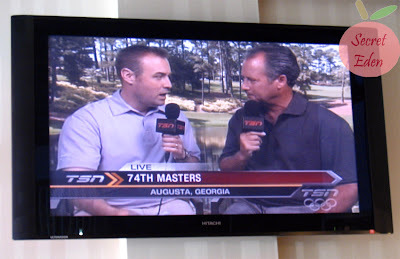 Did they make it in house too? I've used a refractometer before! How crazy is that. nice review! it would be nice to go try a new place for ramen. I havent tried Benkei. I would love to win the free bowl of ramen. Thanks. they're really expanding fast! hopefully they all taste just as good! i love getting new posts in my google reader! 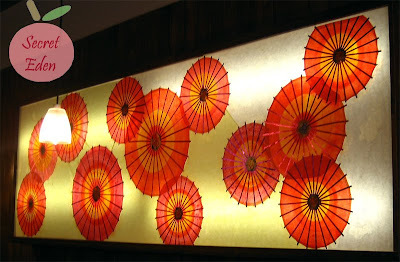 this blog has introduced my bf and i to many new places to eat! Love your blog. There's so many Benkei's opening up in town, it's crazy! Ben: Unforunately I forgot to ask, so I have no idea if their noodle is made on premises or not. Jessica: Actually I am not sure if they kept a record, I don't recall seeing him writing it down. But they chef has been with Benkei for a long time, and he has been the one making the soup base, so I guess he goes by experience? Jessica: Heheh, I am so glad to see any food geek around. Same as you, I also wonder if they record the reading and even have batch number for traceability XD. I also wonder maybe they are measuring the salinity /specific gravity, which works to most of soup, brine or sauce instead of total solid, eh?? Anyways, the soup was great; i am glad they have quality tool to keep the consistency.